My daughter looks forward to Sundays. It's a very special day because she gets to spend the entire day with her dad. We call it Family Sundate. I was not a surprised at all when she woke up earlier than usual because she knew we will be watching Finding Dory (again!). We already watched it a few days earlier with her classmates. What made last Sunday extra special was that she will be watching the movie for the very first time at the newly opened SM Director's Club Cinema at the S Maison in Conrad Manila- the newest 5 star luxury hotel to open in Manila under Hilton Worldwide Group. 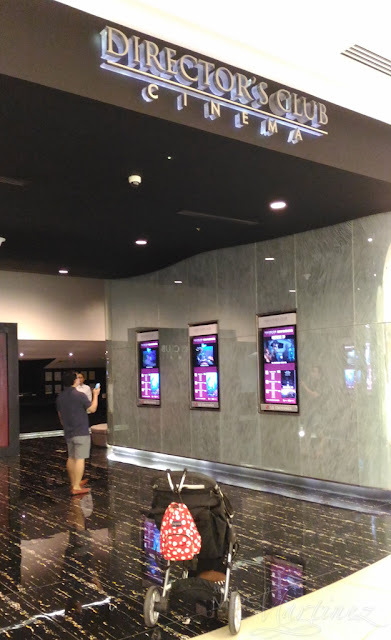 We arrived just in time as the mall opens at 10 AM. 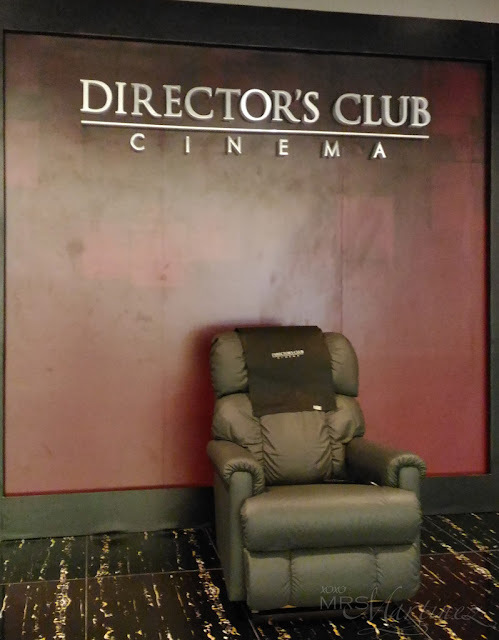 We went straight to Director's Club Cinema. 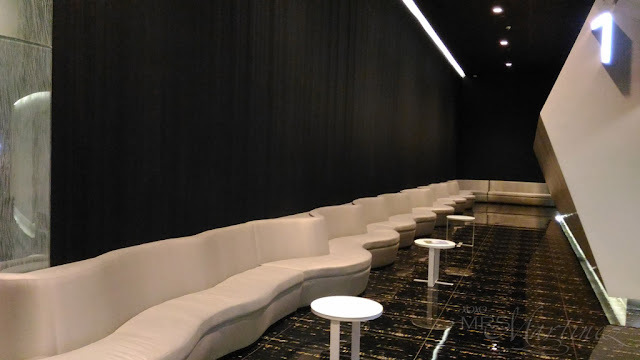 After getting our movie tickets, I was able to take photos of the lounge area and inside one of the three high-end theaters. 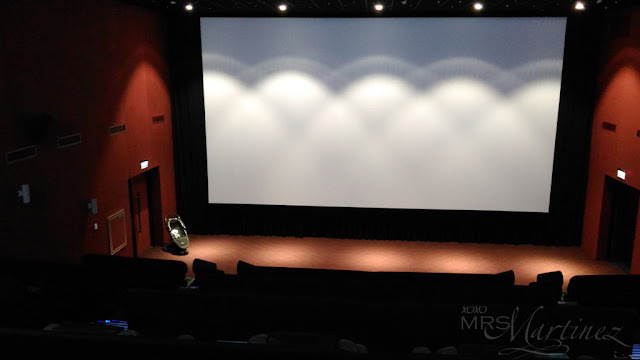 The first screening was not until 11:50AM so this area (shown above) was still deserted. We had ample time to have a decent lunch at UMA UMA Fukuoka Ramen and The Bar before going back to the movie house. 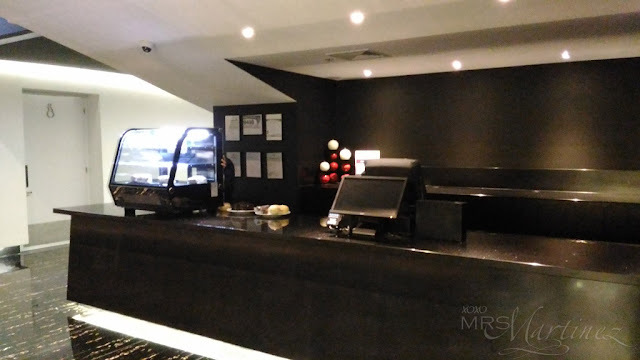 I will blog about our food experience in my next entry. The Director's Club at S Maison is the first hotel-based cinema in Manila. 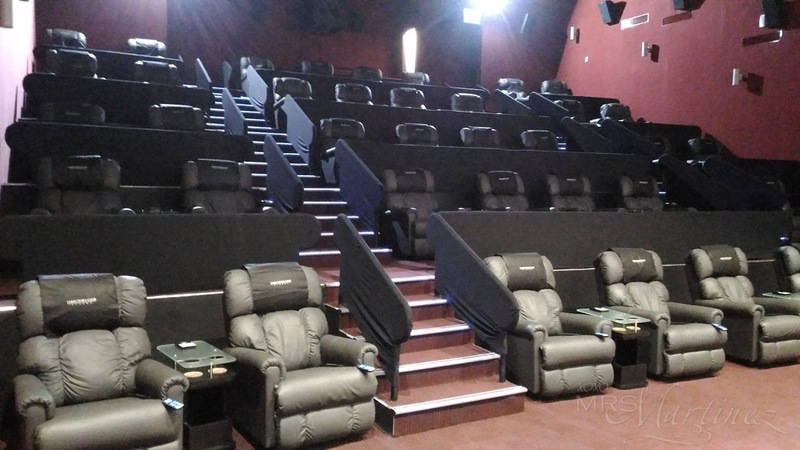 It uses state-of-the-art projection and crystal-clear digital screen perfect for movie buffs like us. There is a dedicated butler that you can call at a press of the button. For Php 450 per person, aside from the movie, in-theater snack like popcorn is included and will be delivered straight to your seat! I believe we had the best seats in the house (D3, D4 and D5) but in the middle of the movie, my 3 year old began to go up and down her seat. She still can't stay in one place and moves around quite a lot. 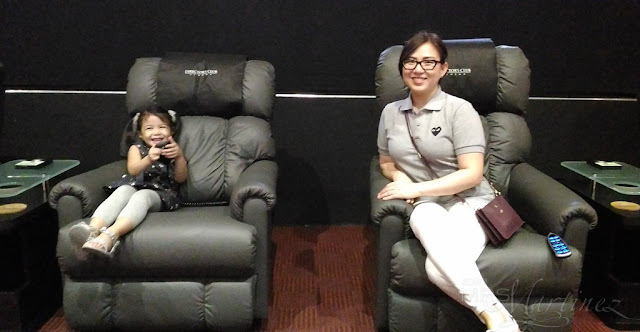 I am so glad that she was not able to distract other movie goers inside the theater because the Director's Club Cinema at S Maison features stadium seating. Each cinema holds the capacity of 40 persons. 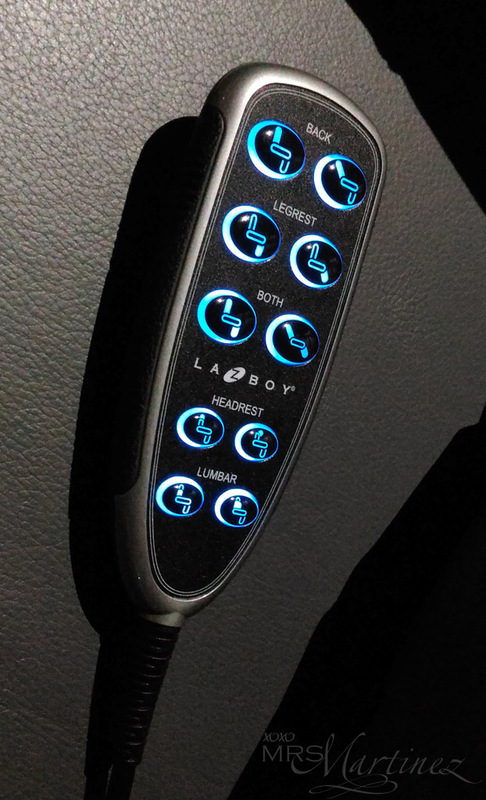 Aside from reclining your position and extending your legrest, you can also adjust your headrest and lumbar area so you can totally enjoy the movie. Director's Club Cinema is located at S Maison in Conrad Hotel Manila, Seaside Boulevard corner Coral Way, Mall Of Asia Complex, Pasay City. For more information and inquiries, please call 470 2222.